On the right; the reason for the shift in fequency towards the end, was because I moved the dial. 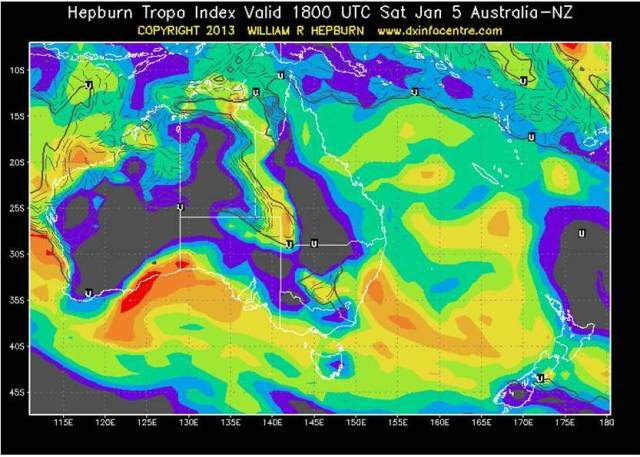 On Sunday 6th Jan 2013 NZST ZL stations enjoyed an intense tropo opening to VK2, VK3, and VK5 with tropospheric ducting. 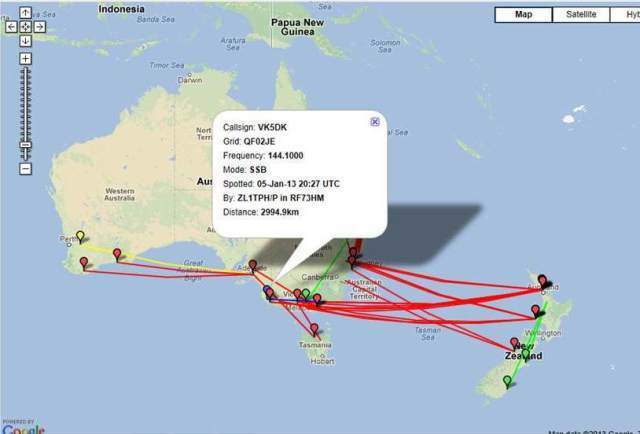 The main purpose is to record on the web the reception report of the VK5RSE beacon received at 3018 km. 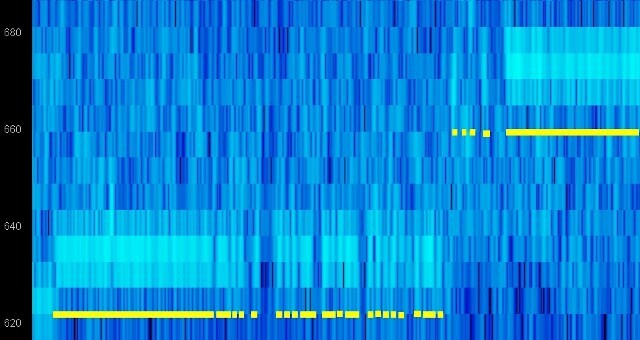 A U/Tube video is also presented along with tropo maps and also other stations worked on 144 and 432 MHz. My location was RF73HM at 350 metres ASL looking west to Australia with sea views.